Here I am with my first place winning plein air painting at the Jasper Arts competition this past week. It’s the top painting of the new bridge at the Parklands. The bottom painting is of a dead tree. 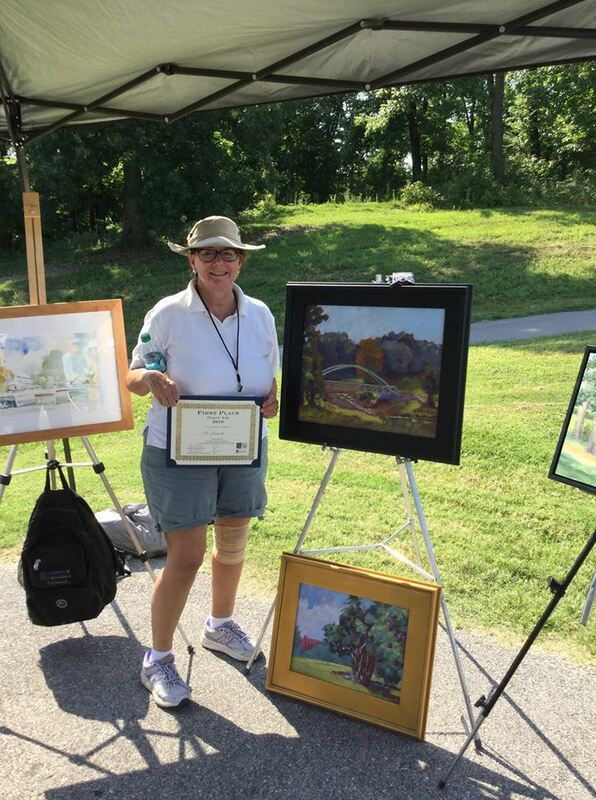 Here I am posing with my winning plein air painting this past weekend. It was of the new bridge at the Parklands in Jasper, Indiana. What a nice surprise! I guess it was worth enduring the extreme heat and humidity that day. This entry was posted in contemporary impressionism, plein air painting and tagged acrylic, contemporary impressionist, kit miracle. Bookmark the permalink.